Black Soot Distress ink, Ebosser, watercolor cardstock, brush, Gansai Tambi watercolors & rhinestones. Take a piece of 4" x 5 1/4" watercolor cardstock & paint random shape in the center with diluted black watercolor. After it dries splatter black & gold colors from the same set. Take a 4 1/4" x 5 1/2" card base & ink its edges with black soot distress ink using Stack and Store Daubers. Adhere the watercolored panel on it using Darice Adhesive Foam Strips. 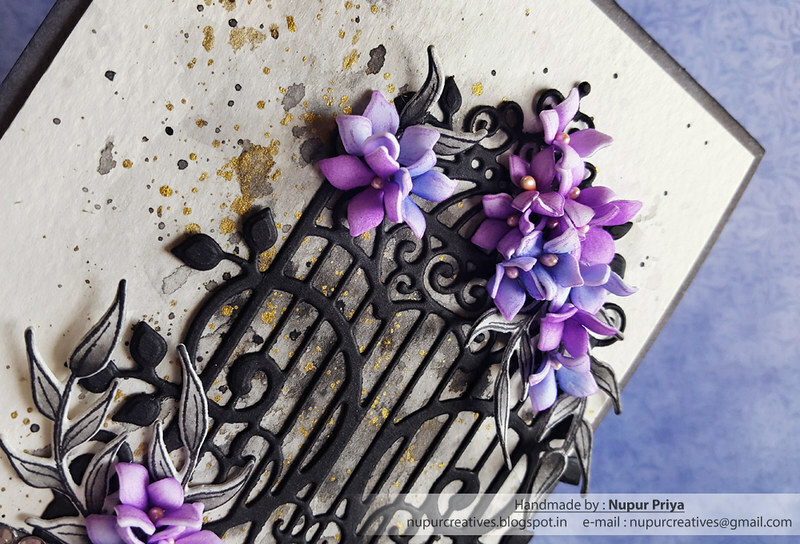 Die cut a piece of black cardstock using the cage die from the Sweet Lilac Scroll & Cage Die And adhere it to the front right of the card. 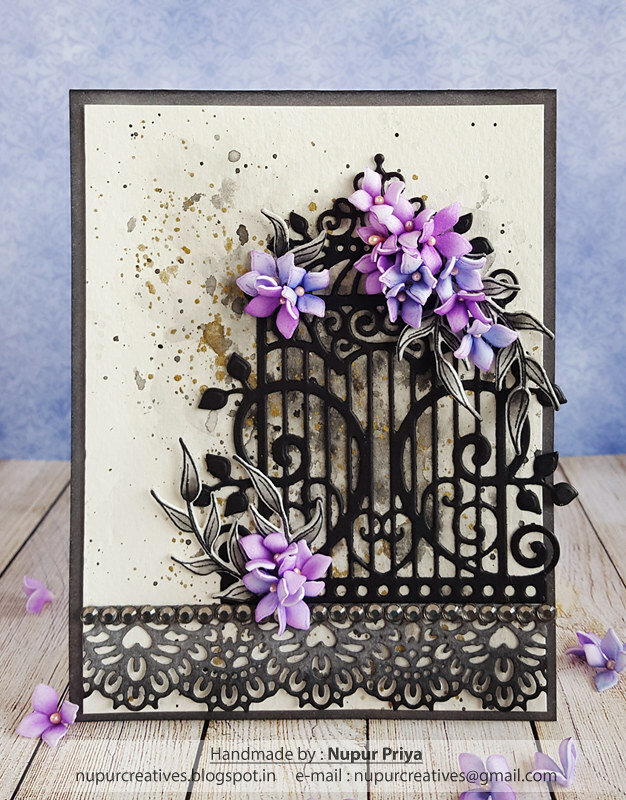 Die cut a piece of white cardstock using the die from Sweetheart Borders Die, ink it with black soot distress ink using Stack and Store Daubers & adhere it below the cage die cut. Stamp the Lilacs from Lush Lilac Cling Stamp Set on Art Foam Paper using Cactus Flower Ranger Archival Ink Pad. Ink them using Cactus Flower, Magenta Hue & Manganese Blue Ranger Archival Ink Pad . 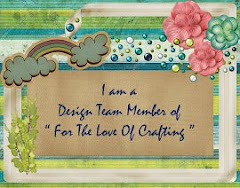 Die cut them using matching die from Lush Lilac Die. 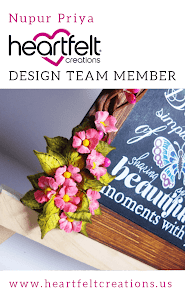 Shape them using Deluxe Flower Shaping Kit & Heat It Craft Tool. Add Pastel Pearl Stamens to the Lilac centers. 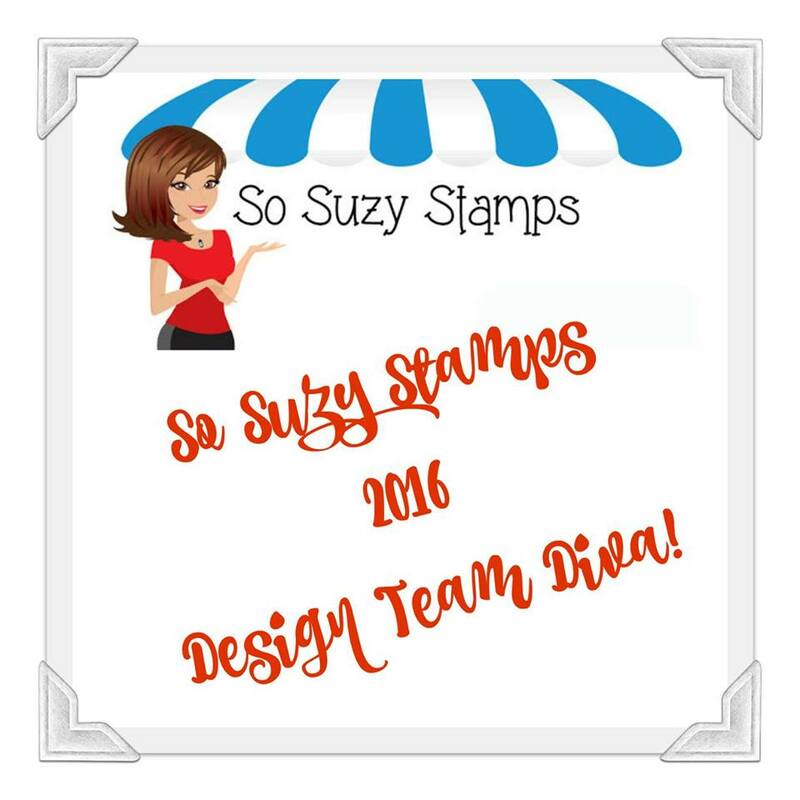 Stamp the leaves from Rain Boots and Blossoms Cling Stamp Set using Jet Black Ranger Archival Ink Pad, ink it using the same ink & die cut it using matching die from Rain Boots and Blossoms Die. Arrange & adhere all the flowers & leaves as shown. 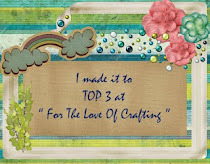 Add some rhinestones to add finishing touch to the card. I absolutely adore this card!!! It is my favorite of this week! Gorgeous! 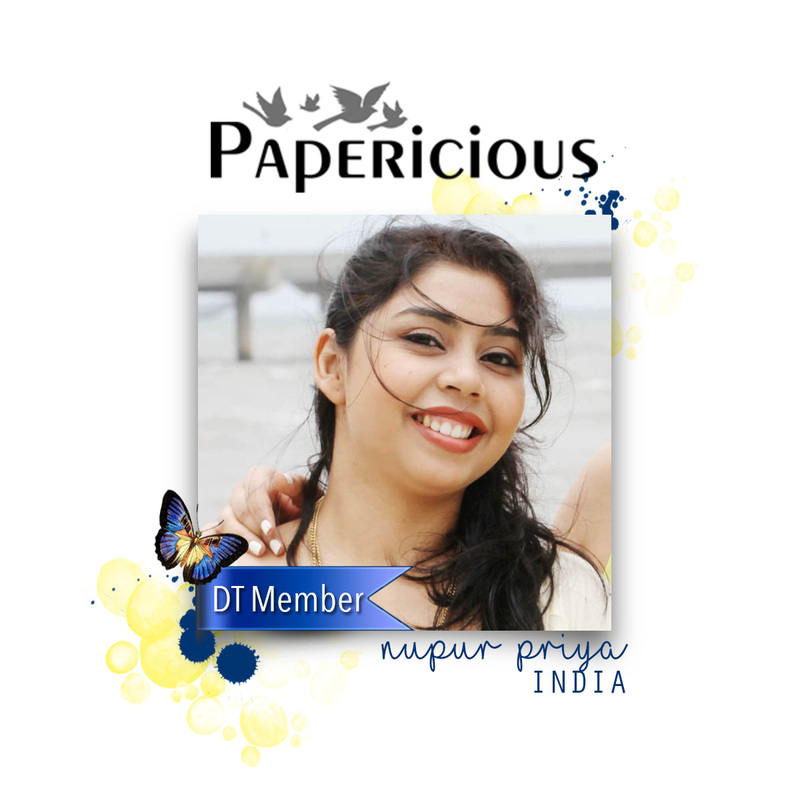 Wow Nupur...this card is breathtakingly GORGEOUS!!! You're amazing!